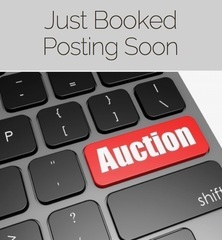 AUCTION CLOSING DATE: TBD beginning at 1:07pm Bidding closes the first item at 1:07pm EDT then closes 5 items per minute thereafter to the last item in catalog order. 6. Bidder’s Duty to Inspect and Investigate: You acknowledge that the Auctioneer is providing you with the opportunity to inspect the items being offered for sale in this auction. The Auctioneer strongly encourages you to attend the scheduled inspection for this auction, which will take place on Tuesday July 5th 12pm to 4pm If you choose not to attend the scheduled inspection and are in doubt about the condition, completeness or suitability of a given item, please bid accordingly.